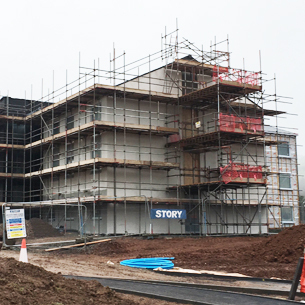 Works are progressing well at our new Doctors Residences on the site of the new Dumfries and Galloway Hospital. The 104 bedroom scheme for ECO RES, is being constructed by Story – utilising a pre insulated steel frame system with pre installed windows. The building is set to be completed in May 2017, with Doctors moving in September 2017.